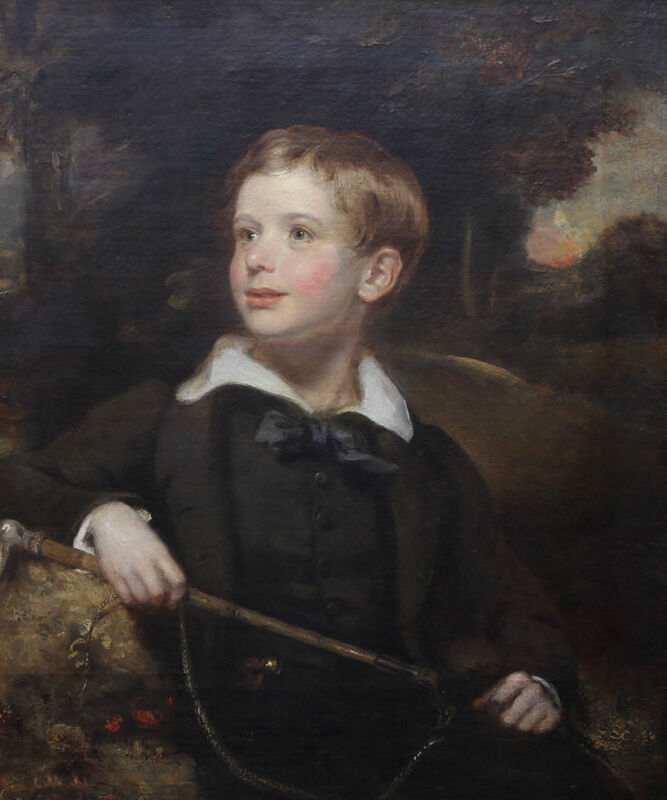 A delightful old master oil on canvas portrait of a boy, circle of accomplished female artist Margaret Carpenter. 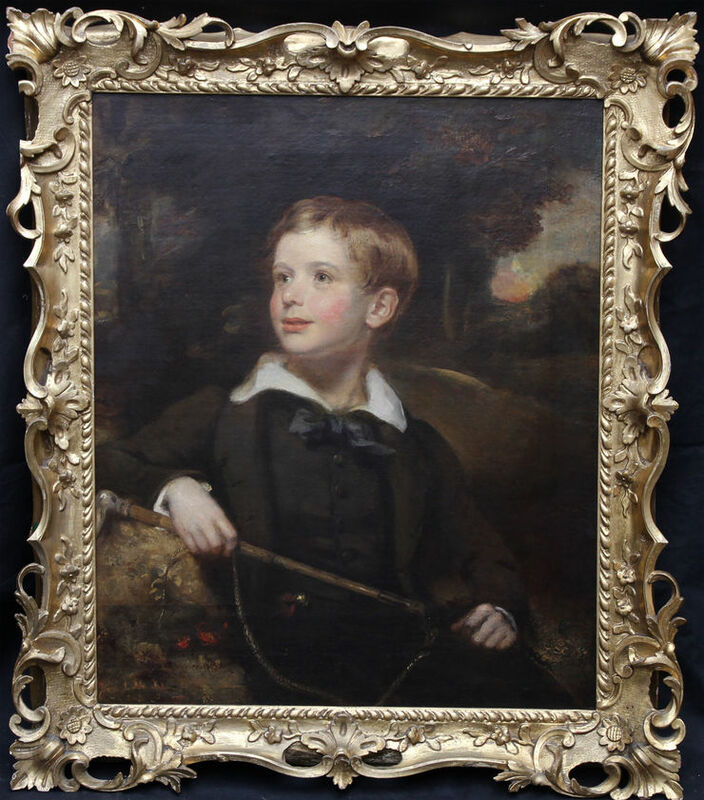 This stunning old master half length portrait circa 1800's is of a young boy in a wooded landscape, holding a riding crop. The subject of a child absorbed in his pastime is typical of her work. His face is beautifully illuminated, the colours reflecting the setting sun behind him. A fine old master country house painting. Her portraits are noted to be in the style of sir Thomas Lawrence. Framed in a fine period gallery frame 40 inches by 35 inches. Excellent condition.